We believe that no one should go hungry in our community. Hunger and poverty are on the rise in Maine and the food programs in our area are feeling the increased need. Healthy Waterville is bringing people together to increase access to healthy food for all. Maine ranks first in New England for food insecurity. 15.8% of Maine Households. 23.3% of Maine children are food insecure. 16.9% of Maine seniors are food insecure. Healthy Waterville is an action team of changemakers focused on increasing access to healthy food through five topic areas. Listen to Waterville people tell LiveStories about their experiences with food insecurity here. Healthy Waterville is many community partners who work to tackle food access issues by learning, talking together, and taking community action. Anyone can join, share their voice, and lend a hand in making changes that directly impact our community. We are working on projects that have short term and long term goals to get people to the food and food to the people. What does action mean to us? Just show up! 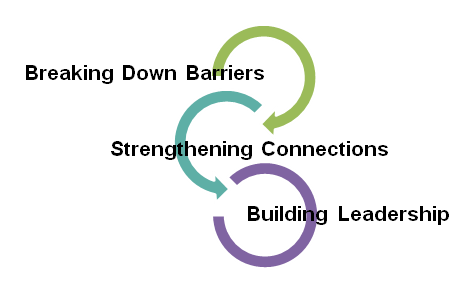 We ask all members to be ready to learn from each other about what the barriers are in our community and how we can work together toward solutions. We ask that everyone respect each other and allow all voices to be heard. All experience levels are welcome! This work takes all of us working together, side by side. Whether you have experience living in hunger, your organization has resources to offer, or you just care and want to be part of the solution, we all have valuable expertise to offer. Get in on the action and join the Healthy Waterville Action Team today! The Healthy Waterville Action Team gathers for meetings, community events, equity building, educational opportunities, and field trips. Please contact us today for the most updated opportunities for getting involved. Copyright © 2017 Healthy Northern Kennebec.